Do You Run a Food Truck and Need A Business Loan For Your Food Truck? 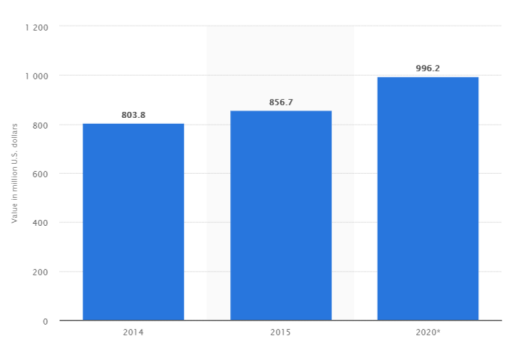 According to the Statista.com, the food truck industry generates Eight Hundred and fifty million bucks in revenue each year as of 2015 estimates. That equates to close to two percent of American restaurant sales. No wonder food truck loans requests are in such high demand. And that number is on the rise! According to that survey, numbers are expected to hit close to 1 billion by the year 2020. Industry analysts at Intuit predict that food truck market share is going to rise by three to four percent over the next five years. This niche is clearly booming. However, working capital is required to take advantage of lucrative food truck business opportunities. Some food truck owners don’t have enough capital on hand and may miss priceless opportunities to help brand their businesses and generate more revenue. Food truck loans are a way to quickly acquire the working capital your business needs. If you’re in the food truck business and you need money for your company, you should know that we offer small business loans for food trucks at affordable rates, with high approval odds. When you get food truck loans through us, you’ll be able to use them to maintain operations through changes in seasons. You’ll be able to use a loan to take advantage of opportunities or simply to build your business. Why do you need food truck loans? 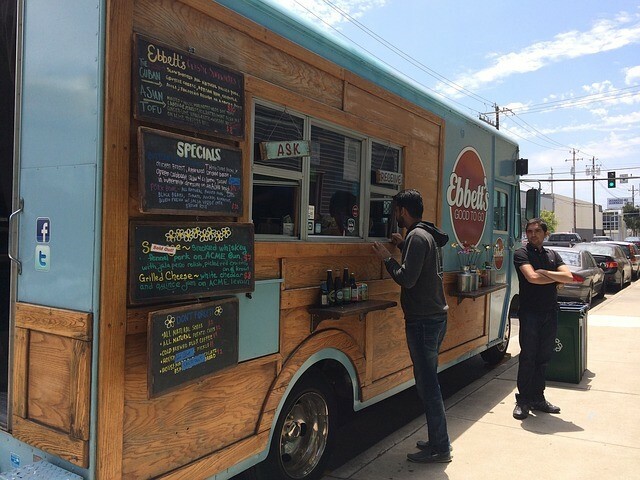 There are plenty of good reasons why food truck owners need business loans. For example, if you want to buy another food truck, which may cost anywhere between fifty grand and one hundred and fifty grand, you’ll be able to do so. Expanding will allow you to hit more prime locations and build brand awareness. It’ll also help you to take market share away from your biggest competitors. Choose a used or new food truck and add it to your fleet. It’s smarter to borrow what you need, rather than watching your business rivals add to their own fleets when you can’t. You need to stay competitive and that means growing your company. When you have your new truck, you’ll be able to double your current earnings. Your new truck will also send a message of success all around your city. Another scenario is that you need to repair the truck or trucks that you already own. Things go wrong with food trucks all the time. Used designs are more prone to mechanical problems, but the new trucks malfunction, too…usually right after their warranties expire. Repairs may cost thousands of dollars. Also, the kitchens in food trucks often need upgrades or new equipment. Some food truck kitchen equipment is pricey, even when it’s purchased secondhand. Some of the small business owners that we work with need to hire new employees. Labor is a big expense in the food truck business. Most food truck owners pay between fifteen and twenty-two dollars an hour for labor. If you want to add staff members to your payroll, you’ll need sufficient cash flow to make payroll. A loan will ensure that you have adequate cash flow. Food trucks business owners also use our loans when they need cash for buying permits. As you surely already know, permits for certain places, such as outside of big conventions, are often expensive. Once you get cash for these costly permits, you’ll be able to make so much money selling street food. Convention permits are expensive because they offer food truck owners access to tons of hungry customers. You’ll be able to buy any type of permit with a business loan from our company. No matter why you need new capital, you may find that getting it from a bank is tough. Here’s why. Why a bank might decline your food truck loans application. A survey conducted by a team at Pepperdine University showed that 2/3rds of small business owners do get turned down when they apply for loans via banks. This means that only one-third of food truck entrepreneurs manage to get what they need from banks. Banks aren’t really interested in your plans or who are you are a person. These financial institutions are more concerned with how much risk you present to them as a borrower. They want to lend money to business owners who are not big credit risks. In the eyes of bank loan officers, all restaurants are high risk – let alone a mobile food vendor who might be considered a flight risk. So many ambitious food truck business owners get turned down when they go out looking for more capital. Good people with viable food truck businesses get turned down by banks regularly. Sometimes, these entrepreneurs have bad credit or lack of sufficient credit history or a 9002 credit. Credit ratings factor in where banks are concerned. When credit isn’t perfect, people tend to get declined for traditional funding. Also, you should know that banks typically put food truck loans in the “home-based business category”. Unfortunately, banks often perceive home-based businesses as being risky businesses. This is another reason why food truck entrepreneurs have trouble getting the money that they need from traditional banks. Most food truck entrepreneurs do not have physical locations. Conventional lenders (i.e. banks) often prefer to lend to bricks-and-mortar businesses with physical locations, such as a manufacturer with inventory that can be used as collateral. Banks don’t like unsecured business loans. There are so many reasons why a bank may turn down your request for food truck loans. Lack of collateral is often an issue. You may not have enough equity in your current food truck or fleet of food trucks to qualify for a bank loan. There’s no need to waste time filling out applications for bank loans, when you have a seventy-five percent chance of getting denied a loan going in! It’s much easier to get a loan from a company which specializes in helping food truck business owners. We already understand your business and why you want more money. We’re here to help. Banks aren’t the only game in town. We do lend to entrepreneurs with poor credit ratings through our bad credit business loans program. We also rarely require collateral or personal guarantees. Most of our business loan programs are simply based on your revenue. One hundred percent of our customers are small business owners. We are here to help people just like you. If the banks aren’t taking you seriously, or you want to skip the bank loan application process entirely, because the odds aren’t in your favor, why not apply for a food truck loan through our company today? In the last ten years, food trucks and mobile businesses in general have grown tremendously in popularity. Whether your food truck business is seasonal, operates during special events and festivals, or serves as an additional mobile location for your home base, it is a great source of income and promotion and advertising. This is all great, however, operating a food truck comes with many tasks and stresses for business owners which often times can be rectified with working capital and funding. Let’s take a look at why an alternative funding solution such as the Merchant Cash Advance may be the right option for your food truck business to get the working capital it needs! Food truck businesses face many hurdles that could be made much easier with additional capital. For example, a food truck itself, on average, can cost up to $90,000, and the necessary equipment needed to operate one can reach up to $100,000. Additionally, special regulations require food truck business owners to following zoning and parking laws, and they must obtain all of the necessary health permits, as well as food and business licenses every year. On top of that, since food trucks are basically restaurants on wheels, they still face strict health and safety inspections. Lastly, to keep new business coming in and to continue generating revenue, food truck business owners must have strong marketing and advertising campaigns put in place. With more and more food trucks of all kinds popping up virtually everywhere, competition is stiff meaning many of these business owners must reach out to social media, marketing, and advertising professionals for help – this kind of help can be costly. All of these issues make access to working capital a must! Majority of business owners, let alone food truck business owners, know how hard it is to obtain working capital through a traditional bank loan. The tedious process of filling out a lengthy application, providing various documents, and personally guaranteeing one is something many business owners just don’t have the time for. Business owners in the 21st century need access to fast small business loans rather than waiting weeks just to receive an approval or decline, but there is an alternative. A Merchant Cash Advance is a short-term financing transactions that are collected through a set percentage of your merchant processing sales that are accepted at your place of business. What are the perks? A Merchant Cash Advance has no set repayment schedule, so you can pay at your business’ own pace without strict penalties for late payments. Additionally, there are no minimum or maximum funding amounts, its all based on your credit card processing volume. What’s needed to qualify? 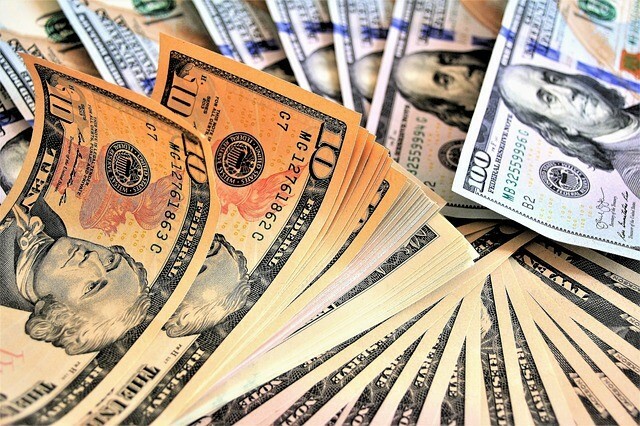 All a Merchant Cash Advance lender usually needs to present your business with an offer is a simple one-page application, four months of recent bank or credit card statements, at least $7,500 in gross monthly sales and at least $35,000 in gross monthly credit card sales, and no open bankruptcies or legal issues. Far much less than a traditional bank loan requirements! 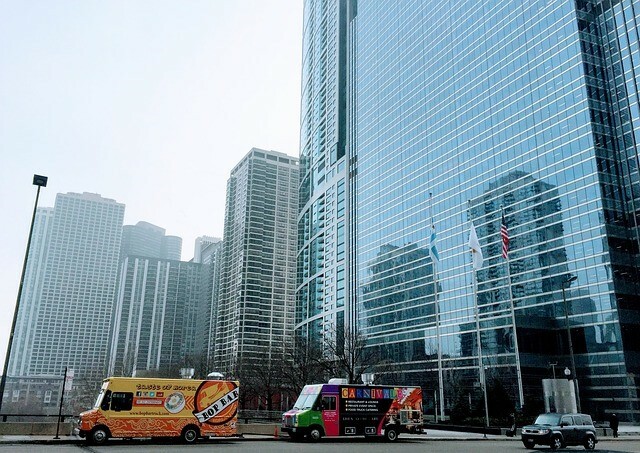 At Excel Capital Management, we know that making the most of the food truck revolution takes cash. When you get the cash that you need, you’ll be able to stay in business and expand, and you will love our affordable fees and ethical loan terms and conditions.